For over 120 years in France, there exists an organic chocolate made with natural sweeteners and without the use of refined sugar. Dardenne is a chocolate brand created by a pharmacist. The special technique used to process the cacao eliminates the substances that cause headaches and stomachaches, making these the only healthy chocolates in the industry! One of the unrefined natural sweeteners used at Dardenne is especially gathering attention recently – agave syrup. 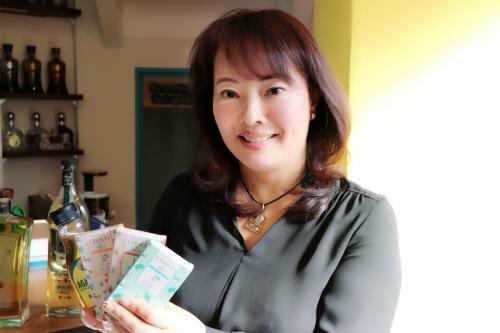 We had the opportunity to speak with President Yabuta of Alma Terra Inc., the importer of Dardenne and agave syrup, to hear about her passion for natural sweeteners. 1 The one and only organic chocolate to be considered a health food in France. 2 The perfect balance of natural sweeteners and cacao! Let’s do a taste test of the vegan Dardenne chocolates. 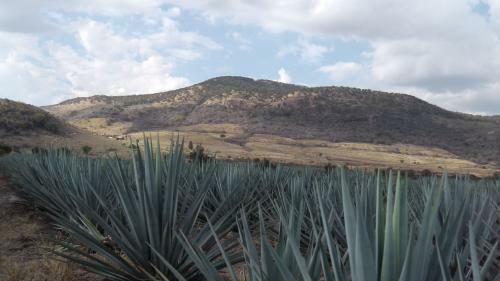 3 Loved since the age of the ancient Mayans – Agave syrup. 4 A homemaker to pave a path toward contributions to society. Conserving the environment through healthy and organic foods. The one and only organic chocolate to be considered a health food in France. Dardenne was founded in France in 1897. Their chocolates are made with Peru’s fair trade organic cacao, which are roasted in-house. They are sweetened with agave sugar, coconut sugar, and cane sugar, but never refined sugar. They are also free of emulsifiers and palm oil, giving them the natural taste of the raw materials that are delivered directly to your palates to be enjoyed. 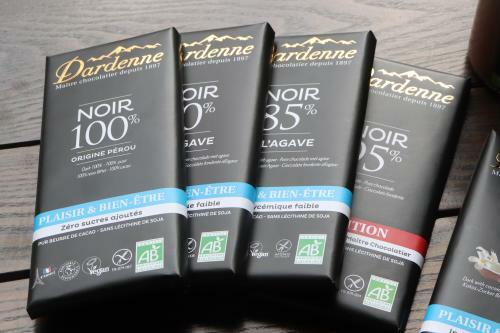 You may have heard of other chocolates with these qualities, but Dardenne goes a step further to consider the health of the consumers. Cacao had formerly been handled by physicians who used them as spices and medicine. 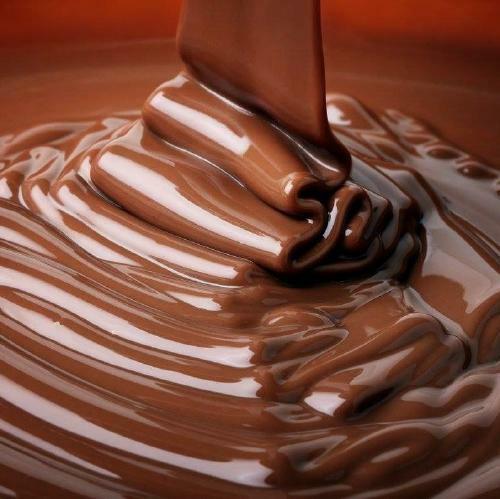 Dardenne was the first to give attention to the notion that certain substances in cacao cause indigestion, nausea, and headaches if consumed in abundance. They now possess the patent for their processing method for which they put an enormous effort into developing to remove these substances while still making the chocolates pleasurable. The perfect balance of natural sweeteners and cacao! Let’s do a taste test of the vegan Dardenne chocolates. 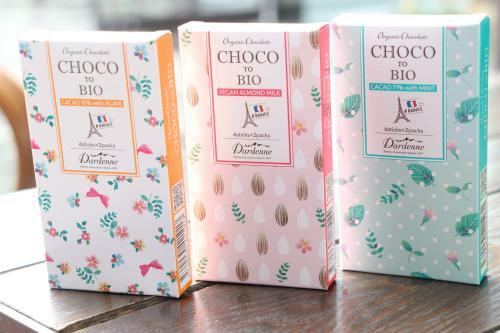 There are 6 types of vegan chocolates of the Dardenne products being marketed in Japan. From left to right, the cacao contents are 100%（new）, 95%, 85%（new）, 70%, 64%, and 58%. Choosing the best natural sweetener to match with the cacao content for each of the chocolates is a technique to be applauded. All of the products are surprisingly mild in flavor for vegan chocolates, and it could be because it lacks the strong acidity peculiar to cacao. Some may not be fans of the 100% cacao for being too bitter, but Dardenne’s is on another level! The cacao butter content is high and it gives off a slight sweetness with every bite. The 95% cacao uses cane sugar, which is best to give the chocolate the subtle sweetness without it being too strong while bringing out the full flavor of the cacao. Care for some wine to go with this? The 85% and 70% are sweetened with agave powder. 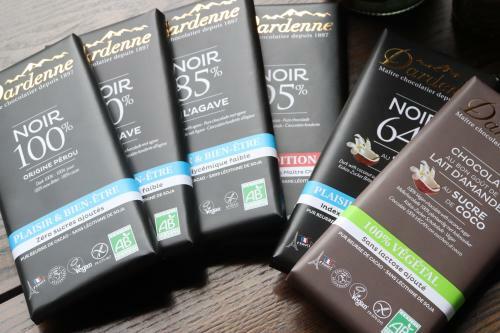 Let it be known that Dardenne was the first company to use agave powder in chocolate products. Once the chocolate enters your mouth, it’ll be filled with the decadent flavor. The sweetness won’t linger too long in your mouth, so it’ll be a nice treat during a quick break in the office. Highly recommended are the coconut sugar products like the 64% and 58%. These chocolates also contain house-roasted hazelnuts. The distinct deep flavor of the coconut sugar combined with the buttery and ambrosial flavor of the hazelnuts makes the chocolates extremely satisfying. The 58% cacao version contains almond milk to give it an extra smoothness. It was impressive to see how different the chocolates taste depending on the type of sweeteners. If you need a little pick-me-up and you’re craving something sweet, it’s best to consume something that is of excellent quality which will give you the satisfaction even in small portions. That way, you won’t have to stress over fighting back those cravings and you don’t have to burden your body by overeating. 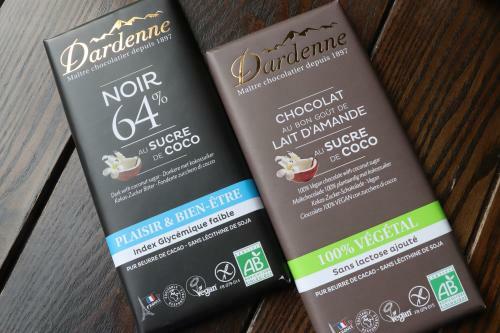 Newly released from Dardenne are the 100% vegan chocolates in a new size! It is designed especially for Japan in its own original packaging and in stick form for convenience. It is the perfect size for those who can’t stop oneself from eating the entire bar. The mint chocolate is especially lovely – the perfect balance of the minty flavor that is striking, but not too strong that it sets off the natural taste of the cacao. 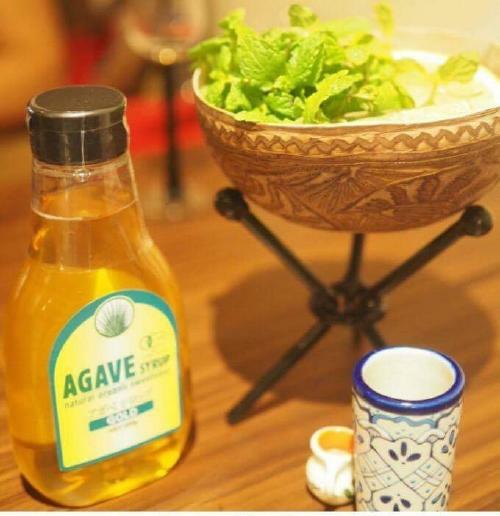 Loved since the age of the ancient Mayans – Agave syrup. Dardenne incorporates agave syrup, which has been used by the people of Mexico since the ancient Mayan civilization as an important and sacred food. 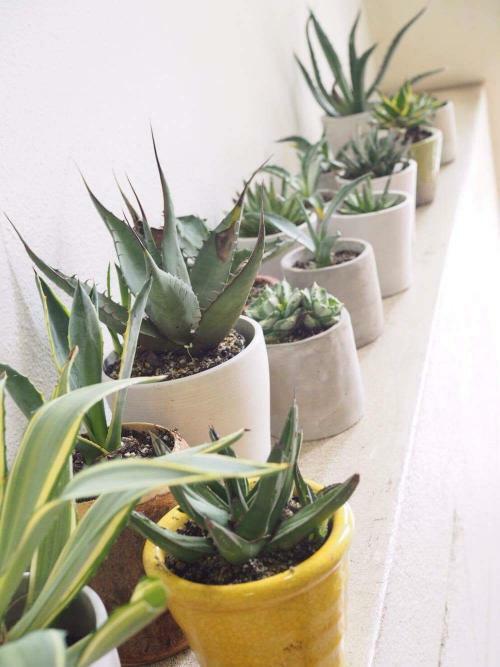 Agave in its raw form is often seen as a houseplant in Japan. It requires the plant 5 to 8 years to grow and build up the nutrients before harvest. 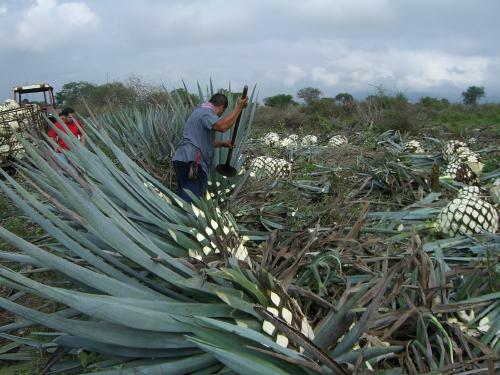 The sweet nectar stored in the root bulb section of the plant becomes agave syrup. Agave syrup has a low GI, at around 21, and its neutral flavor makes it suitable for a wide range of dishes. Once in your mouth, you will taste the clean and clear sweetness characteristic of the fructose. A homemaker to pave a path toward contributions to society. Conserving the environment through healthy and organic foods. 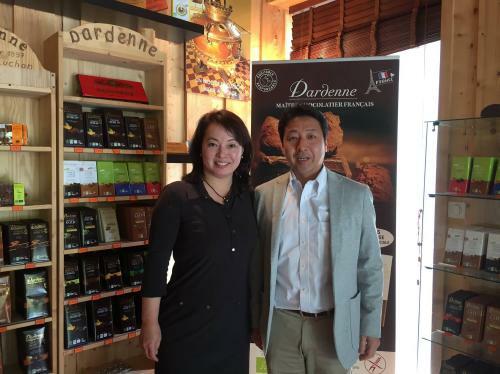 Katsura Yabuta is the president of Alma Terra Inc., the importer of Dardenne chocolates and agave syrup. Ms. Yabuta was a former flight attendant who later became a homemaker in order to spend more time with her children. It was after the birth of her children that she began thinking differently about health. These simple words are deep with meaning. Her children’s health is dependent on the food she provides them with, which will have a great impact on their future. It must have been an eye-opener to realize the extent of her responsibilities as a parent in such a common scene in everyday life. It was around this time that she was gifted the agave syrup as a souvenir. It was still unavailable in the Japan market, and Ms. Yabuta was very impressed with the taste of agave, which was unmatched with any other sweetener she had had. She began incorporating the syrup with various dishes. After discovering that agave is a great sweetener for Japanese cuisine, she decided to import the product into Japan on her own. There is another large goal that drove her will to earn the level of trust in order to continue promoting products that are beneficial. That is a contribution to society. “If organic products increase in the primary sector, it can lead to the conservation of the earth’s environment. Ms. Yabuta’s activities may provide great encouragement for other homemakers out there. Promoting healthy foods from the perspective of a mother and contributing to society as a human being – it looks like we are witnessing an ideal for women in the modern society.